Many companies may be biting off more than they can chew. Two in three companies across the entire world (65 per cent of them) gather too much data, and can’t find the time or the resources to analyse all of it. The latest annual Data Security Confidence Index from Gemalto found that overall 65 per cent of companies have too much data. Elsewhere, the report found that just over half (54 per cent) didn't know where all of their sensitive data is stored, and two thirds (68 per cent) don’t do what’s necessary to maintain GDPR compliance. 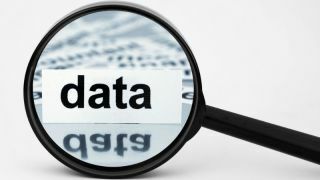 Looking at the UK in particular, it was said that organisations in the country are ‘the worst’ when it comes to data analysis, with just 19 per cent of organisations being able to do it ‘effectively’. Almost half (46 per cent) of IT professionals in the UK think unauthorised access can happen anywhere in their entire corporate network, putting literally everything at risk. A quarter (24 per cent) are saying their data would be secure in case of a breach, and 59 per cent are failing to carry out all the necessary procedures, to make sure they’re GDPR compliant. “With the UK falling behind European and global counterparts, British organisations could soon find themselves being outmanoeuvred by more agile competitors, offering better solutions and services thanks to their ability to protect and analyse data,” commented Jason Hart, CTO of Data Protection at Gemalto.